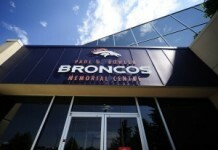 Through the first two quarters of Saturday’s preseason game, the Denver Broncos are defeating the Chicago Bears 20-10. Here are three takeaways from the first two quarters of action. The preseason is the absolute worst. 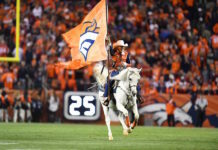 After losing Jamal Carter for the season with a torn hamstring last week, the Broncos lost another DB Saturday night when safety Will Park went down with an apparent knee injury. The preseason is a necessary evil, but there is nothing worse than seeing players go down during meaningless snaps. 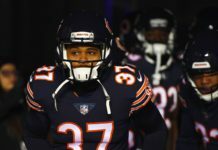 The starting defense came out with a ton of energy Saturday night and looked a lot better than they did against the Vikings. The pass rush was consistent, the defensive backs looked solid and the starters were able to come up with a pair of impact plays. 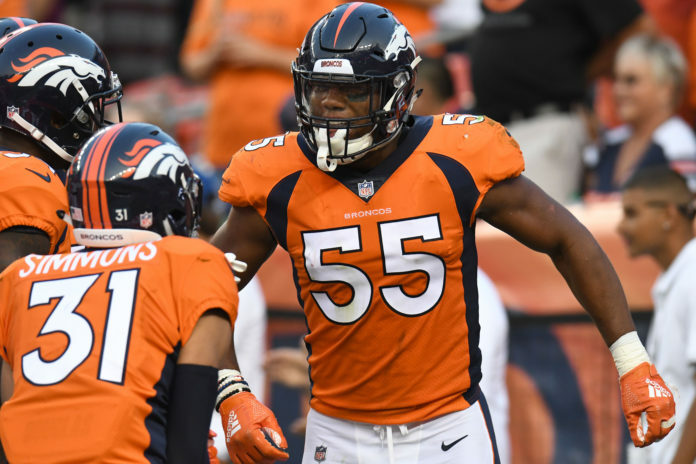 Rookie linebacker Bradley Chubb recorded a safety in the first quarter and safety Justin Simmons came away with an interception, which ultimately led to a Broncos touchdown on the ensuing offensive drive. Chad Kelly only had one offensive series in the first half but it was a seven-play drive that ended with a 16-yard touchdown pass to rookie wide receiver Courtland Sutton. Kelly was only 2-of-2 on the drive, but the series as a whole was one of Denver’s more impressive offensive drive in the first half. If I were John Elway, I would just cut Paxton Lynch at halftime. We have seen enough to know that Kelly is the better option of the two young quarterbacks.